Hey everyone, what’s up? How are you all doing? I am doing great and living my best life now. 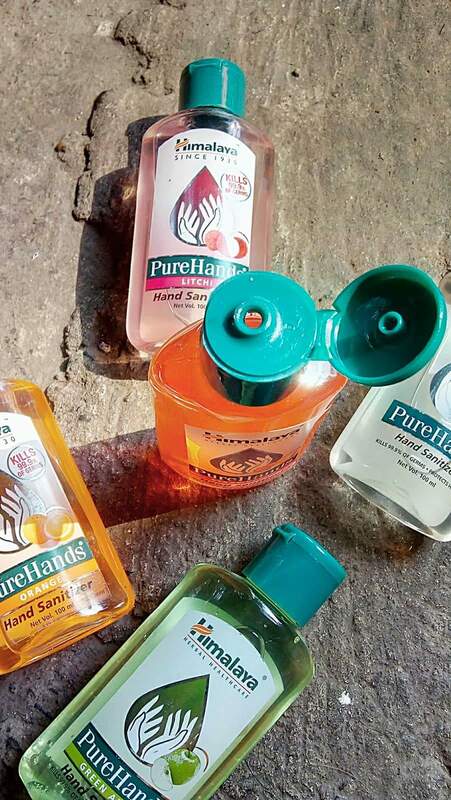 One thing that we all must carry with us every time irrespective of the climate is sanitizer. I’m a sucker for sanitizers and I love trying out different types of it. I mean I don’t know if that makes any difference but then sometimes I find a cute packaging or better fragrance and the cycle goes on. 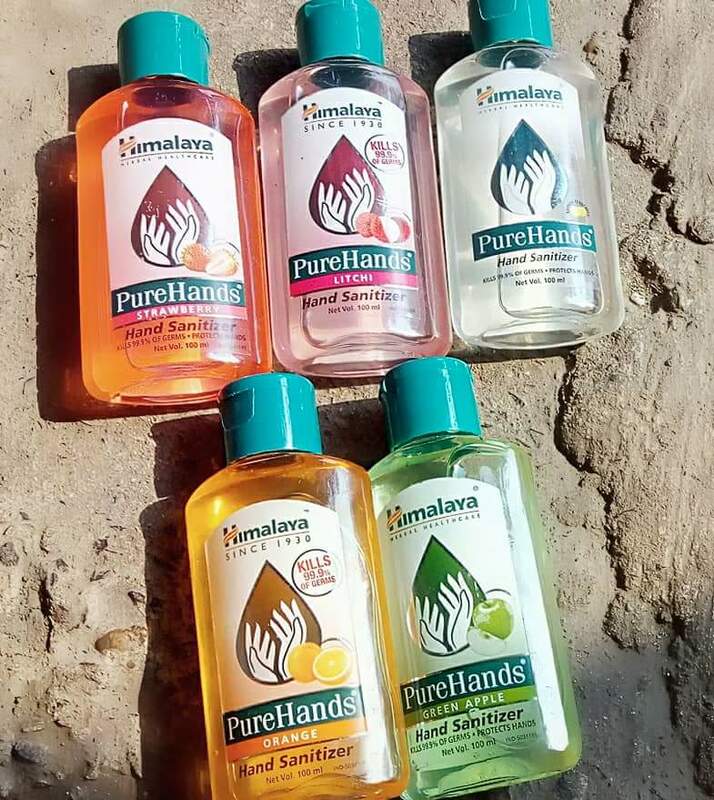 This obsession continued and I got my hands on the newly launched Himalaya Pure Hands Hand Sanitizers. Today, I’m going to talk about them. So, without further ado let’s get into it. 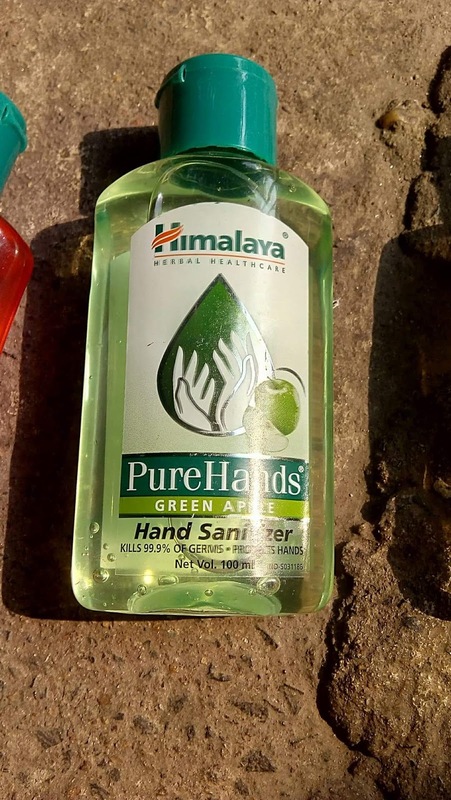 About Himalaya Pure Hands Hand Sanitizers (Claims): The first of its kind, Himalaya's PureHands is an effective, herbal, alcohol-based hand sanitizer, which kills 99.9% of germs, prevents infection, and ensures total hand hygiene. 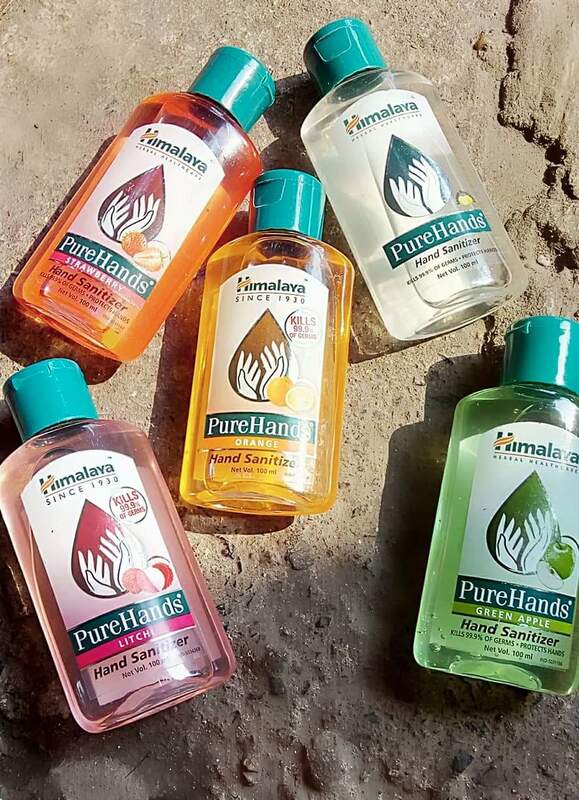 PureHands contains extracts of herbs like Coriander, which have potent antimicrobial properties and Lime, which is a natural bactericidal. In addition, the active ingredients of Neem, which are antibacterial, fungicidal and antiviral, safely keep viruses, bacteria and fungi at bay. 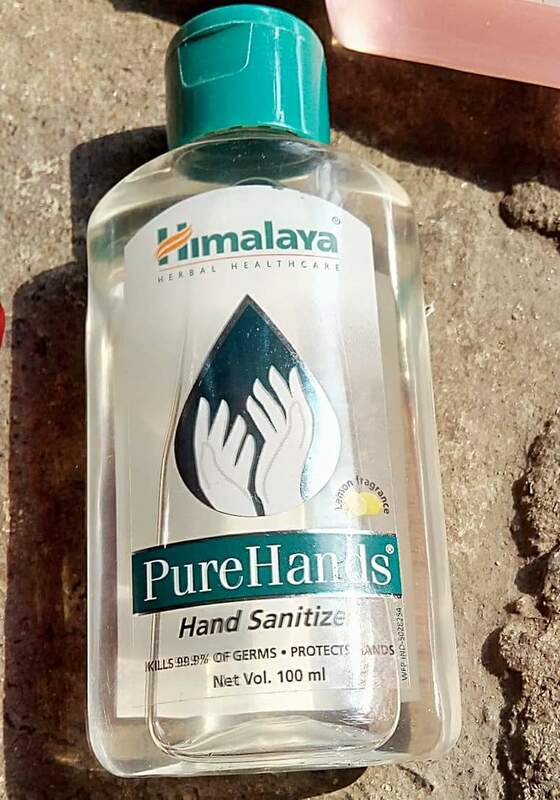 Packaging: The Himalaya Pure Hands Hand Sanitizers comes in a transparent plastic container with a flip open cap. The front part has a label with the respective flavor name and product name. The rest of the details are on the back. 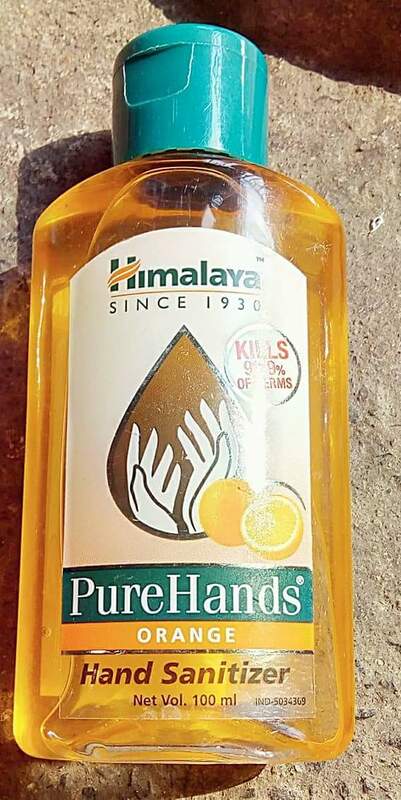 · Himalaya Pure Hands Hand Sanitizers (Lemon fragrance): This is my favorite out of the lot. It smells so refreshing almost like a lemonade. This is transparent in color and retails for 90/-. 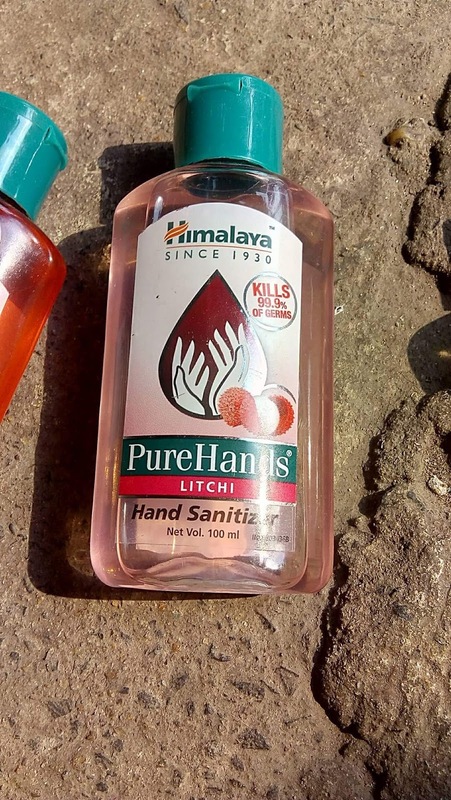 · Himalaya Pure Hands Hand Sanitizers (Litchi): This is my 2nd favorite and smells exactly like lychees. The fragrance is very sweet and I use it when I am in a fruity mood. It’s light pink in color and comes at a price of 90/-. · Himalaya Pure Hands Hand Sanitizers (Orange): I love this as much as I love the other two. It has a light citrus smell which is very soothing for me. This orange juicy gel retails for 90/-. · Himalaya Pure Hands Hand Sanitizers (Green Apple):- When I received this,‌ I thought this would be my favorite out of the lot since I love green apple a lot. But, sadly this smells very artificial and I don’t like it that much. It’s a green colored gel worth 80/-. 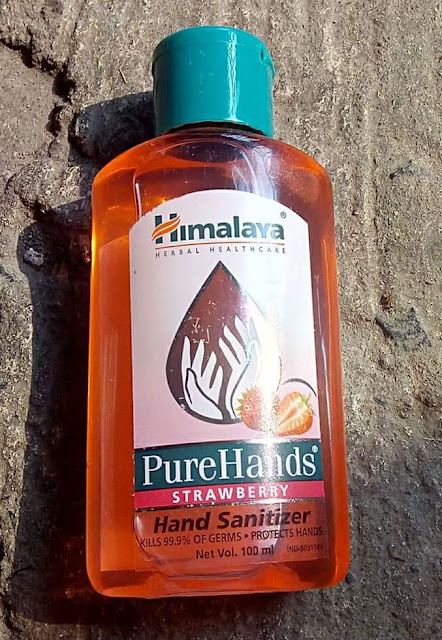 · Himalaya Pure Hands Hand Sanitizers (Strawberry):- I love strawberries but this one did not win my heart. Instead, it refreshed my childhood memories because it smells exactly like the scented erasers we used to have as kid. I loved playing with them. This light red colored gel retails for 80/-. My thoughts: The Himalaya Pure Hands Hand Sanitizers had me excited when they reached me. I totally love them. It doesn’t dry up your hands or make it rough. They get absorbed quite quickly and gives a cooling effect which I love. It also says that it kills 99.9% germs which is awesome. 4. Comes in a variety of flavors. 5. Comes in two sizes. 8. Doesn’t dry up the hands. 1. Packaging can be a tad-bit cuter. Overall, I love these babies and would definitely recommend you guys to give it a try. Bye bye!